Major milestone: huge love and thank you!!! Well, May’s sales figures have come in from my publishers, Moon Books, and we have reached a new milestone – over 10,000 copies of my Pagan Portals books sold! 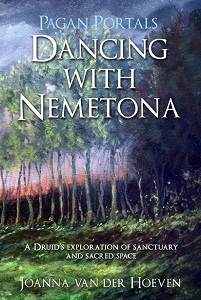 (And The Awen Alone: Walking the Path of the Solitary Druid is still an Amazon No. 1 Bestseller!) I just wanted to thank everyone for their support in my writing, for your lovely emails, your encouraging words, and for being so awesome. May we be the awen!!! Is my Lady Brighid real? I still don’t know. But I quest a relationship with her in order to understand more, perhaps not in the hopes of having a definitive yes or no answer, but because the journey is one worth taking. Does Brighid think I am real? What is the need behind the question, what is the desire to learn the answer? What are the forces that push and pull us, in our minds, our lives? Are there great directors and orchestrators of movement? What is the meaning of our lives, of life itself? Are we equipped, mentally and physically, to accept a definitive yes or no answer to any of the above? What is the nature of belief? The root of the word, belief, stems from the late 12c., bileave, which replaced the Old English geleafa meaning “belief or faith,” which itself originated from the West Germanic ga-laubon “to hold dear, esteem, trust”. In this previous sense, believing in something, whether it is a god or a sub-atomic particle has nothing to do with the nature of reality and everything to do with a notion of trust. To whom or what are we going to give our trust? Do we need to place our trust in something in order to have a relationship with it? What are the bounds that we can work with when it comes to trust and relationship? Should we still investigate these past concepts alongside our modern notions in order to gain a wider perspective, or are they simply muddying the waters of clarity? If we are to truly have a grand adventure in this present moment and in this lifetime then we are going to come across some serious questions that explore the boundaries of reality and nature itself. In our paths as Druids, these questions form a large part of our understanding, and our understanding of just how little we know. Continuing the quest, putting one foot in front of the other, exploring new mindsets keeps us in the flow that is nature. When we are stuck, when we are mired in a concept or belief, we can become stagnant, like water that cannot flow freely. We may, like water, bump against rocks in our journey down to the sea, cascading down great waterfalls of the unknown, slamming against canyon walls of ignorance and dogma, or floating gently and serenely on a tide of peace for however long or short a time. All that we can truly know is that everything is changing from one moment to the next, ourselves with it, and acceptance of a plurality in our worldview is the way to evolve and adapt, to work better with the world and live our lives utterly dedicated to our quest and our Druidry. It is questioning, and questing the awen. When we live our lives in this manner, things will never be dull. As David Bowie once said, “I don’t know where I am going from here, but I promise it won’t be boring”. My first book with Moon Books in the Pagan Portals series, this little introductory book shows how to blend Zen Buddhism with Druidry to create a life that is awake and aware to the natural world around us, fully immersed and living life in accordance with the flow. The Awen Alone: Walking the Path of the Solitary Druid is out now in all good bookstores. Kindle version available as well. Part of the Pagan Portals introductory series from Moon Books. 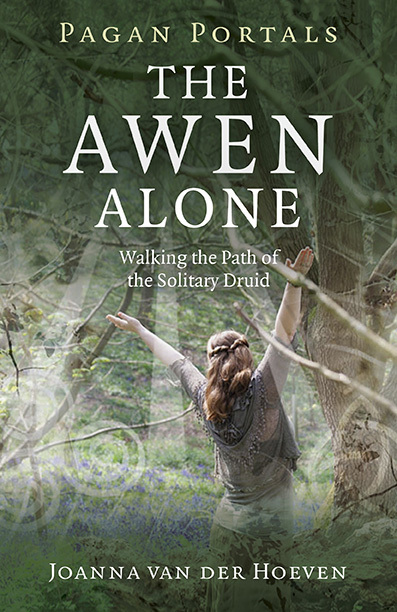 Kindle version of The Awen Alone: Walking the Path of the Solitary Druid is now available! The Kindle version of The Awen Alone is now available! Download your own copy for only £1.85. Through the magic that is Druidry, build deep and abiding relationships with the natural world and walk a path of truth, honour, service and commitment. Exciting news – you can now pre-order the Kindle version of my third book, The Awen Alone: Walking the Path of the Solitary Druid for only £1.85!